The dream was for a fairytale start, but the players of Carlow Kilkenny FC learned what playing in the National League was like after Limerick spoiled their hopes. 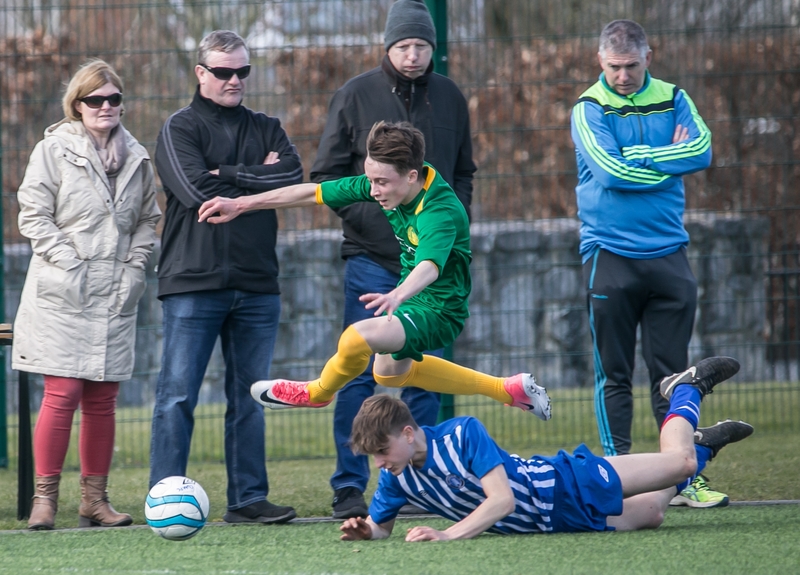 “That’s the thing with League of Ireland football,” said manager Mark Ross after Saturday’s 5-1 loss at IT Carlow. “Small mistakes have big outcomes. “Before the game started, and in the weeks beforehand, I tried to emphasise to the coaching staff and players about the big step up from both junior and youth football - there’s no middle ground. “We scored at the beginning, which was fantastic for the lads’ confidence,” he said. “It shows them they can do it. We had to try to get the whole squad into the game - it was the first for the club. “The result is immaterial for us as coaches as our main objective was to give every player their first minutes on the pitch. That may have had some bearing on the result but Limerick are one of the strongest teams in the group. “Their goals came from two penalties and some individual errors but the lads will pick up from that over time. You can’t expect them to learn everything in a few weeks - it takes players years to learn it all and they still make mistakes. The home side made a tentative start in this first ever League of Ireland game but as the half wore on they grew in confidence - that soared to new heights when, on 16 minutes, Eoghan Byrne robbed full-back Michael Corcoran of possession and sprinted on to score the club’s first competitive goal. Limerick were stung, but struck back when Josh Quinlivan converted a 33rd minute penalty after Wassiou Ayawe was brought down in the box. The sides remained all square until the break - but only just. Conor Keane went within a whisker of giving Limerick the lead on the stroke of half-time when his looping shot from the edge of the box sailed over netminder Mark McCarthy, but the ball clattered off the bar and bounced out. Keane was frustrated that time but hit back with a second half goal glut. He bagged his first seven minutes into the second half, racing on to Ayawe’s pass before drilling a low shot inside the far post, then added a second in the 54th minute after nicking the ball off defender Niall Rowe. Keane completed his hat-trick before the hour mark, firing home a penalty after the impressive Ayawe was brought down in the box. He completed a good day’s work when he fired home his fourth and Limerick’s fifth five minutes from time. Carlow Kilkenny never let their heads drop - the hard work of midfielders Jack O’Neill and David Olobuwale, as well as wingers Oscar Brennan and Zack Bay Hammond were positives to take from the day. They will be hoping for better fortunes when they travel to Ferrycarrig for their next game against Wexford FC on April 8. “This was only game number one,” said Ross. “The only thing we’ve lost is the chance to go the whole season unbeaten. Everything else is still possible. 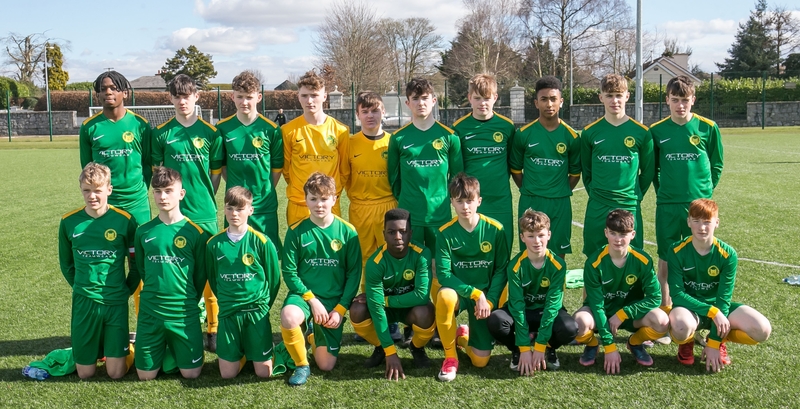 Carlow Kilkenny FC: Mark McCarthy; Noah Quinlan, Adam McCarron, Fionn McCaffery, Niall Rowe; David Olobuwale, Jack O’Neill; Eoghan Byrne, Daryl Ntumba, Zack Bay Hammond; Rory O’Dowd. Subs: Ben Goodwin, Cian Byrne, Jake Haughney, Timmy Clifford, Eamon Lalor, Oscar Brennan, Darren Lawlor, Jake Ffrench Davis. Limerick FC: James Griffin; Joey Rushe, Michael Corcoran, Rian O’Connell, Oisin Enright; Andrei Haxhiaj, Josh Quinlivan; Josh Twomey, Wassion Ayawe, Ger Quaid; Conor Keane. Subs: Jake Prendergast, Adam Brennan, Toby Lambe, Oisin Enright, Eoin McGrath, Denis Duhula, Mike Molloy, Jake O’Riordan, Ryan Manning.